Very private 2 story all brick home on 1.88 acres. Wonderful back yard with inground pool and waterfall. Large covered porch. Full finished basement. New gas HA furnace and new gas water heater installed May 2018. 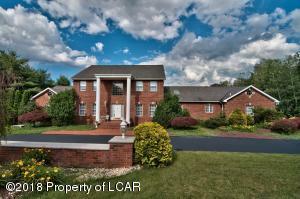 Public Remarks: Very private 2 story all brick home on 1.88 acres. Wonderful back yard with inground pool and waterfall. Large covered porch. Full finished basement. New gas HA furnace and new gas water heater installed May 2018. Directions: Traveling north from Main St., turn onto Laflin Rd. (Wesley Village). Take 2nd entrance to Highland Hills to L onto Carey Lane. Property on L.